Hawley played East Riding junior football before joining Hull City as an amateur in April 1972, when he was helping to run the family antique business in Beverley. He had one season in the NSL, where he played for the St. Louis Stars in 1975 and scored eleven goals in twenty appearances, basically during the English closed season. He did not go full-time until August 1976 and was scoring regularly for the Tigers. He had scored twenty-two goals in one hundred and fourteen games, of which thirteen had been as a substitute, when Jimmy Armfield, in his last signing beore leaving Leeds, bought him for £81,000 in May 1978. 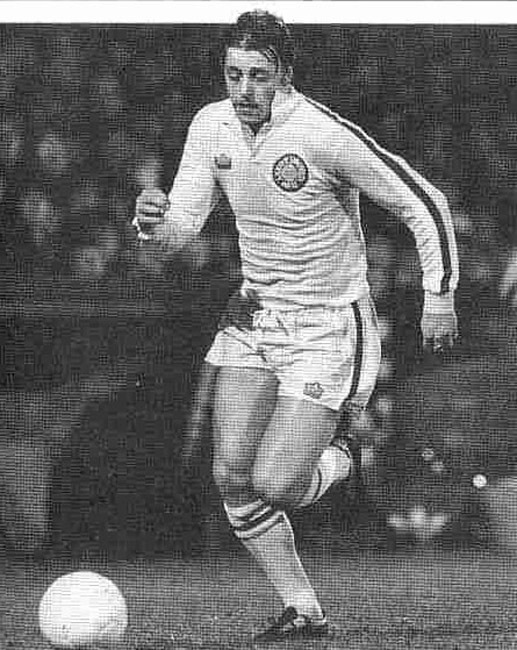 In tandem with Ray Hankin and, with Arthur Graham and Carl Harris sending across a steady stream of crosses and Tony Currie and Brian Flynn prompting from midfield, Hawley proved a consistent marksman in his one season at Elland Road. Leeds were good value for their fifth place in Division One, their best achievement since the Revie era. There were many who were sad to see him depart even though there was a handsome profit when Jimmy Adamson sold him, including the part-exchange of Wayne Entwistle, for £200,000 to Sunderland in September 1979. He was an instant hit at Roker Park, where played his first game against Manchester City in a 1-0 home win on 3rd October 1979 and three days later he scored a hat-trick on his League debut in a 4-0 ome win over Charlton Athletic. He did not have the best of luck with injuries but still managed eleven League goals in twenty-five games and also three games in both the F.A. Cup and the League Cup, without scoring. He did however help Sunderland win promotion to the First Division in 1979-80. His final game for Sunderland was at Elland Road on 21st February 1981 when Leeds won 1-0. He joined Arsenal for £50,000 in September 1981, and made his debut on 26th September 1981 in a 0-0 draw with Manchester United at Highbury, but could not break into the Gunners’ team on a regular basis and only scored three League goals in twenty League games, including six games as a substitute, and failed to score in the one League Cup game in which he played during his eighteen month stay at Highbury. In that time he was loaned to Leyton Orient, in October 1982, where he scored once in four games, in October 1982, and Hull City, where he scored once in three games, in November 1982. He played his final game on 7th May 1983 against his former club, Sunderland, who won 1-0 at Highbury and he left the Gunners and went abroad to Hong Kong, where he played for Happy Valley FC in May 1983, before soon returning to his native Yorkshire with Bradford City in August 1983. After a slow start at Valley Parade he formed a fine partnership with Bobby Campbell. He had played his first dozen games in which he only scored twice before joining forces with Campbell with the Bantams bottom of the League with the club only having recorded one win. Hawley and Campbell forged a successful partnership and turned the season on its head, as the club won a record ten consecutive games but were unable to win promotion and finished seventh. Hawley finished as the club's leading goal-scorer with twenty-two goals from forty-two games. The following season Hawley started just nineteen games, with a further six off the bench, but his six goals helped the club win promotion as champions of Division Three. Hawley left during the summer meaning his final game at Valley Parade was the 0–0 draw with Lincoln City and scene of the club's tragic fire. He scored twenty-eight League goals in sixty-one starts and six games from the bench for the Bantams. He moved on to Scunthorpe United in July 1985, but struggled with injury soon after arriving. He establish himself as a regular until well into the season but then scored in three successive games, including a hat-trick against Halifax Town just before Christmas. He played twenty-one times, including three off the bench and scored seven goals before retiring at the end of the season. After football he returned to the family antique and furniture restoration business and has recently started a new coaching venture called Skills Drills. He had a brief spell as an agent, former Leeds United midfielder David Prutton was a client, and was an Academy coach under Paul Hart at Nottingham Forest. He also keeps involved with the game in a hospitality role on match days at Hull City.